A mouth wound, cracked tooth, or knocked-out teeth are all emergency situations that should have you headed to an emergency dentist immediately. Oxnard Dentistry's Kourosh Keihani, DDS, and the team of dental experts in Oxnard, California, are ready to serve the emergency dental needs of your entire family. If you're dealing with a dental emergency, don't wait. Call the office nearest you or schedule an appointment online. An emergency dentist treats dental and mouth injuries that need immediate attention. Dental emergencies are typically any situation in which you need to save a broken or knocked-out tooth. Making it to Oxnard Dentistry within 30 minutes of your mouth or tooth injury can mean the difference between saving and losing your tooth. Chipping a tooth in and of itself doesn't always warrant emergency dental care. If the tooth is chipped, but it doesn't appear as if you'll lose the tooth entirely, it's probably not a dental emergency. 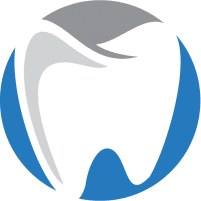 Even so, it’s a good idea to contact one of the experienced dentists at Oxnard Dentistry so they can tell you how to handle your tooth until you can get to the office. A knocked-out tooth is a serious dental emergency. Without immediate dental care, you may be at risk of losing the tooth. Do your best to rinse your mouth and the damaged tooth. Rinse your mouth and tooth with warm water, being careful not to touch the tooth by the roots. Hold the tooth by the crown (the smooth white top part) as you rinse it. If possible, try to place it back into the socket in your gum where it came out. Bite down softly on a gauze pad to hold the tooth in place until you can get to Oxnard Dentistry. Call the office right away. Or, have a family member or friend call to let our staff know you're on your way. If you are unable to place the tooth back into its socket, put your tooth in a small cup of milk to help preserve it until you get to the dental office. Don't let a broken tooth prevent you from enjoying your smile. Call Oxnard Dentistry for expert assistance in the event of a dental emergency.